Wifi + Imo = an emotional revolution. 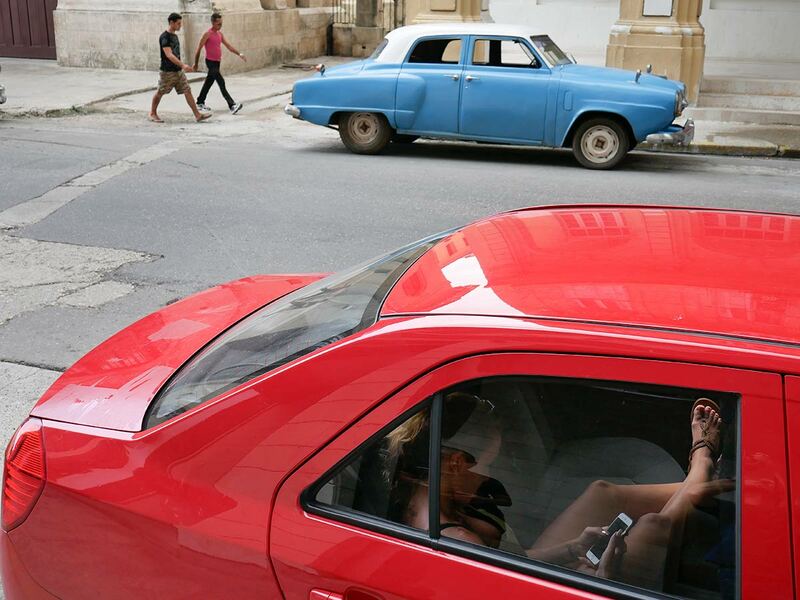 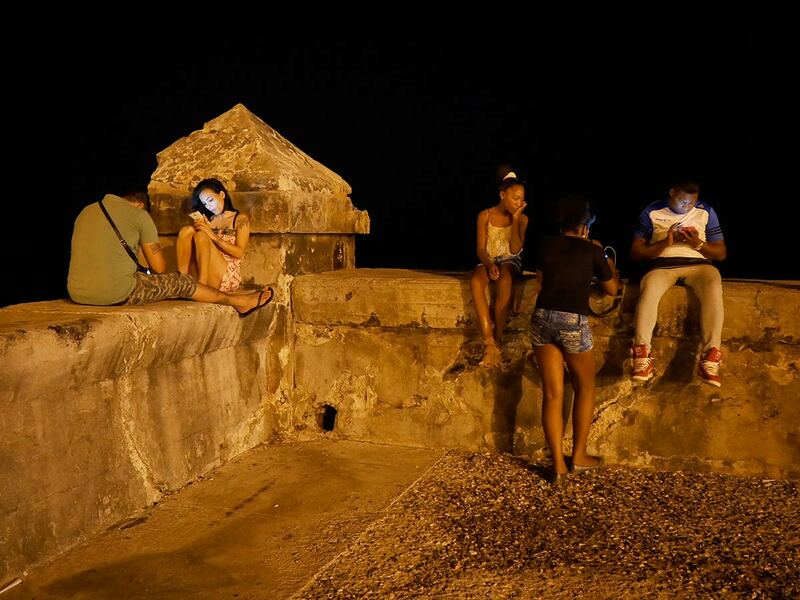 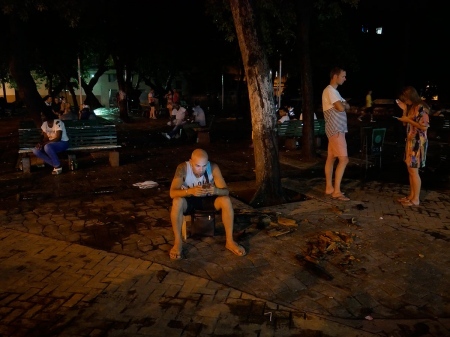 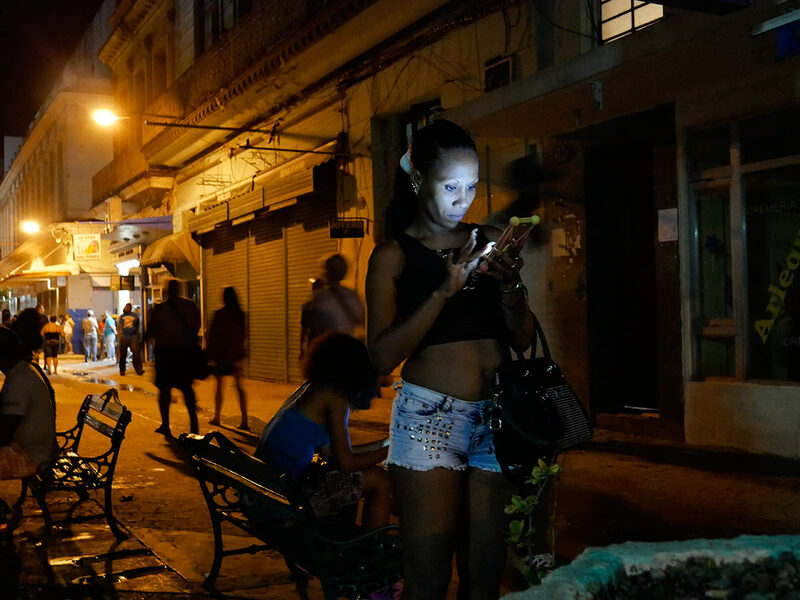 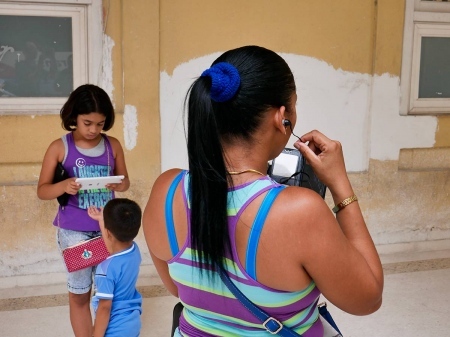 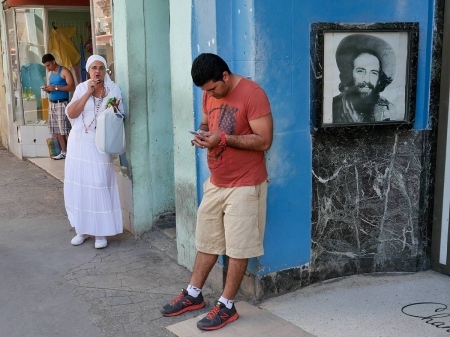 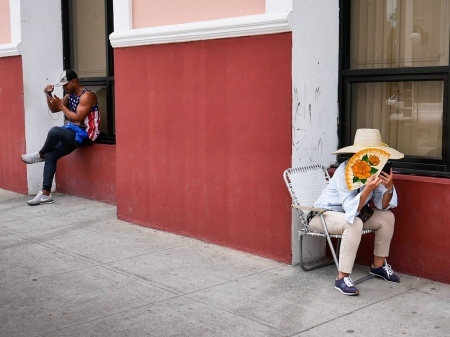 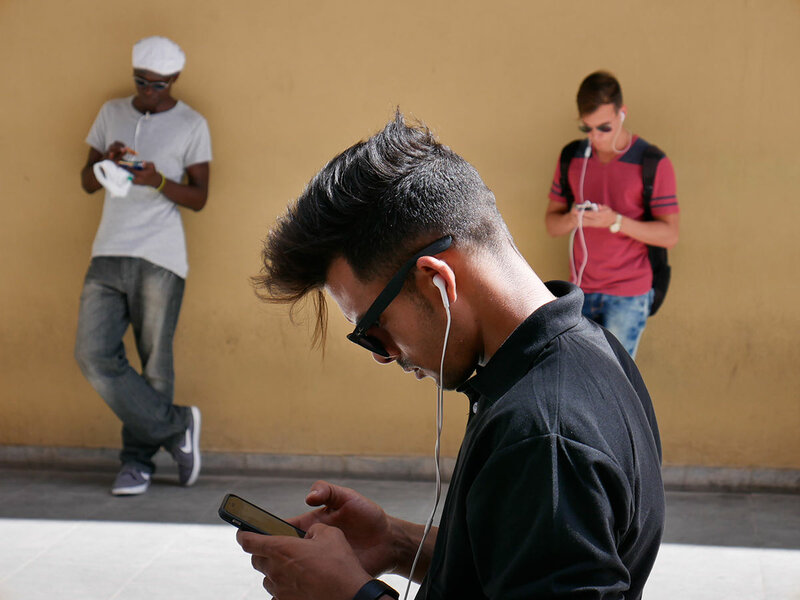 Cuba’s creation of Wi-Fi zones may well be the most noticeable change that has taken place in the country since 2015. 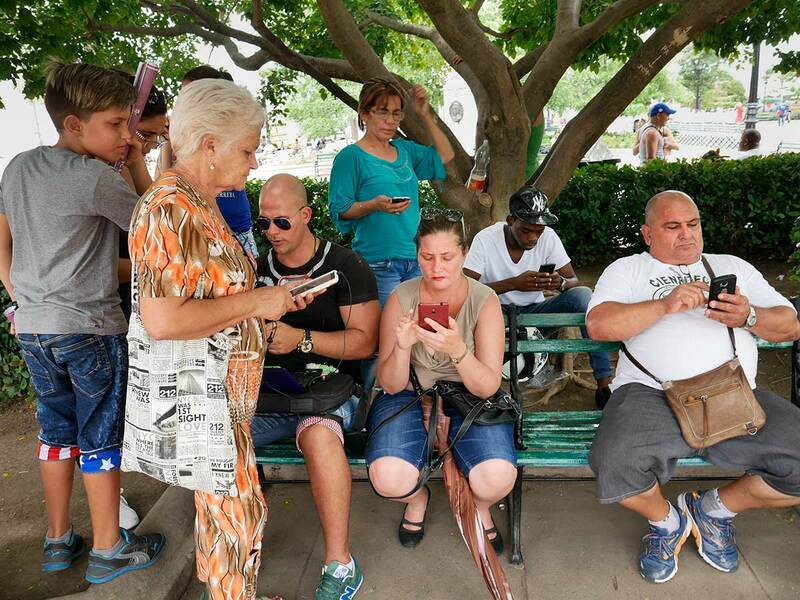 There, people gather to go online, and mostly to talk to and see their family members living abroad. IMO is the videoconference software which has brought families closer, achieving this great emotional revolution that the country is undergoing. 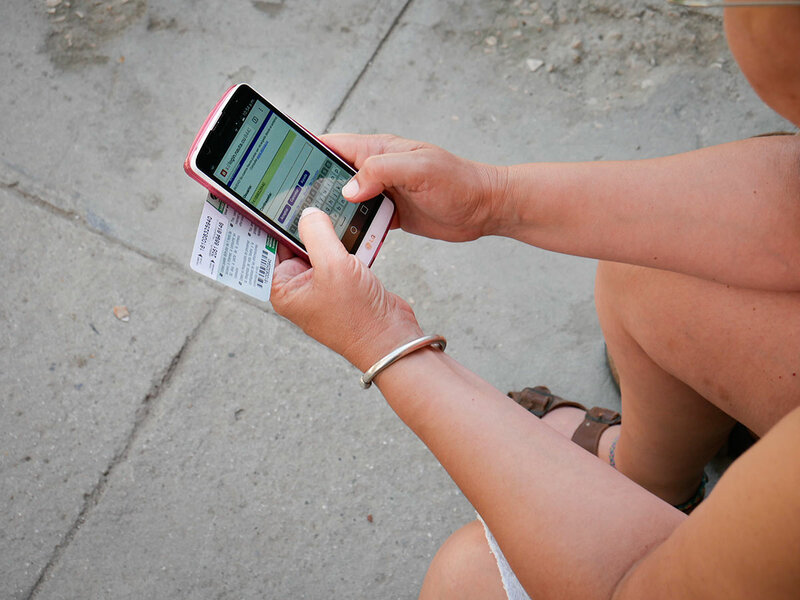 It is an application everyone has on their smartphones, in addition to Facebook. 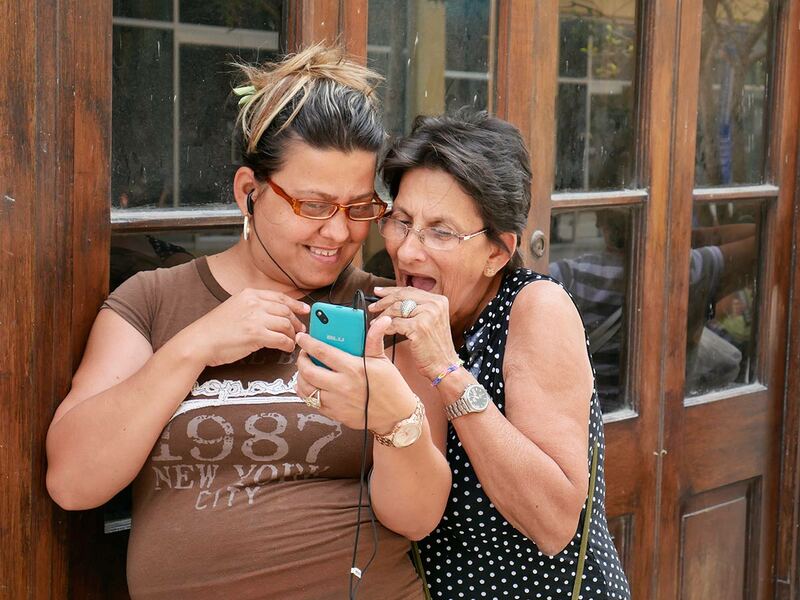 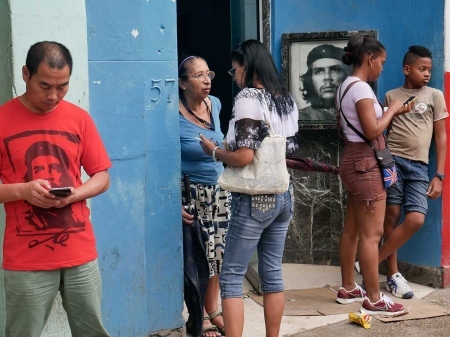 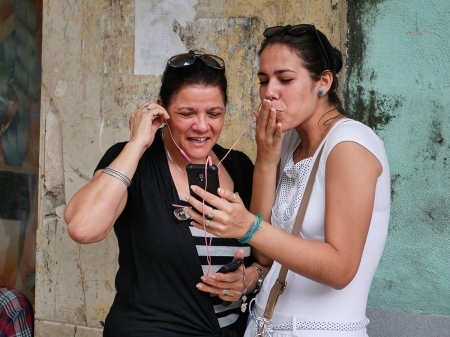 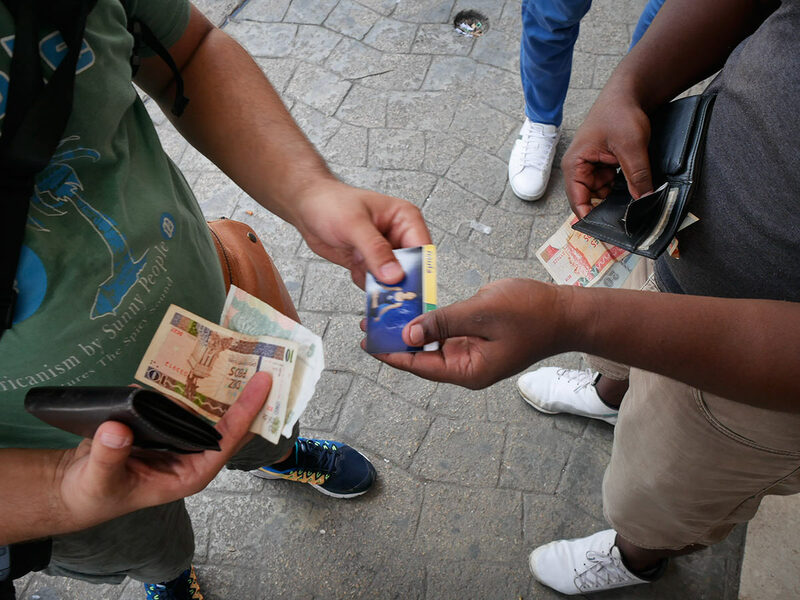 Use of smartphones became widespread in 2014-2015, and it was next to impossible to see these mobiles in Cuba before that. As a photographer, I not only seek to document the great change the new Cuba is undergoing, but also to portray the emotions on the faces of family and friends separated by many miles and emigration laws.